The aim of this pilot study is to define a procedure for integrated and multi-level accounting of the nexus (water, energy, food and land use) in relation to vegetable pro- duction at the regional scale. It illustrates how to integrate dif- ferent types of quantitative information across scales and dimen- sion of analysis. A diagnostic tool for integrated and multi-level accounting of the WEF-Nexus of vegetable production, with particular emphasis on the connection between agricultural and water systems, is proposed. 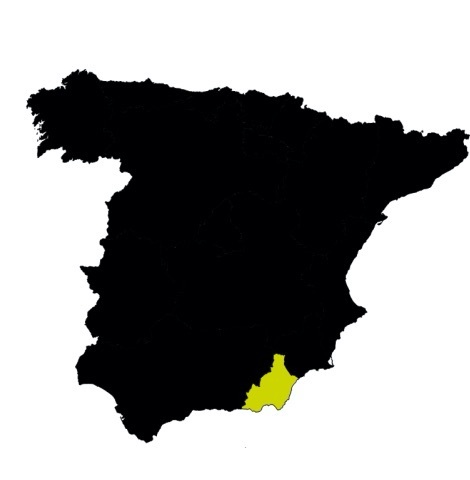 Vegetable production is characterized at four analytical levels: crop production processes, farming systems, irrigation areas and the whole Almeria province. These levels are connected through scaling relations. Water supply is characterized at three analytical levels: water bodies, water sources and end users. These levels are connected through flow relations. Irrigation areas are the analytical level that enables the connection between the two systems: they are water end users and vegetable producers at the same time. Relations between water and food systems are bidirectional: water withdrawal and reception of pollution. The Water Framework Directive 2000/60 requires the achievement of good status of all European water bodies. However, how to handle the nexus with agriculture is still a major challenge. This case study is relevant because it shows that it is posible to integrate water and food policies in Europe across different levels of analysis. This integration makes it possible to deal with three persistent nexus problems: over-abstraction, nutrients and pesticides pollution. The proposed accounting framework is capable of quantifying the socio-economic and ecological trade-offs associated with changes in food production and water supply patterns. The three nexus dimensions are integrat- ed in a network of nexus components. Water and food compartments in the network are characterized through processors that include a set of relevant inputs and outputs. When water is a limiting factor for vegetable production, the introduction of desalination and reclamation adds a new dimension to the nexus. Then we can move from water as a limiting factor to energy as a limiting factor. By using this analysis one can identify the factors determining the viability of alternative water sources in relation to the type of farming systems. More intensive patterns are more likely to be viable with these alternative water sources. To analyse different narratives about the nexus between water and agriculture in the region. To run a series of checks on the validity of narratives about water and agriculture including all relevant social-ecological dimensions. In particular, we will simulate in different scenarios the option space for reducing the pressure over water bodies. To open a dialogue with local stakeholders about the desirability, viability and feasibility of different technological and policy innovations that can be adopted to meet the Water Framework Directive goals.